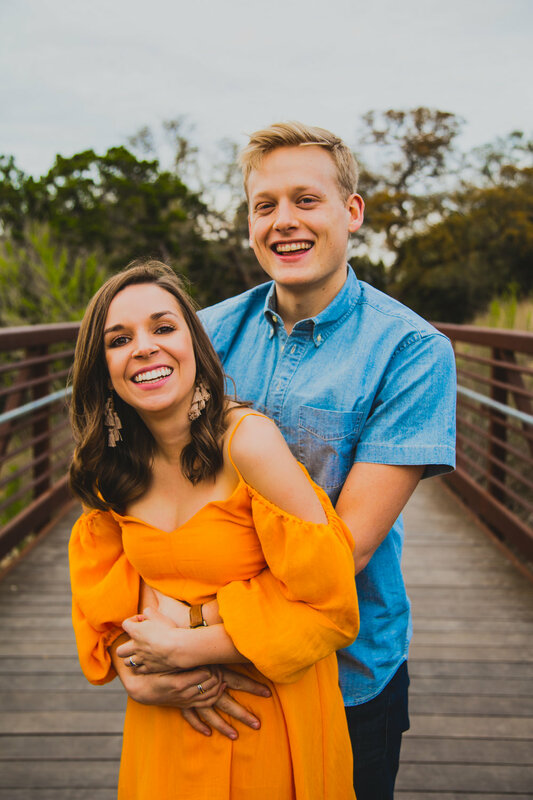 I bet you feel like you've seen it all—a dude down on one knee on the 360 Overlook, tears of joy atop Mount Bonnell, a couple showing off a brand new engagement ring in Auditorium shores—and if you're like me, you just want your engagement session to be different. And hey, getting engaged (or commemorating your engagement) at classic spots like the ones listed above is also totally cool. 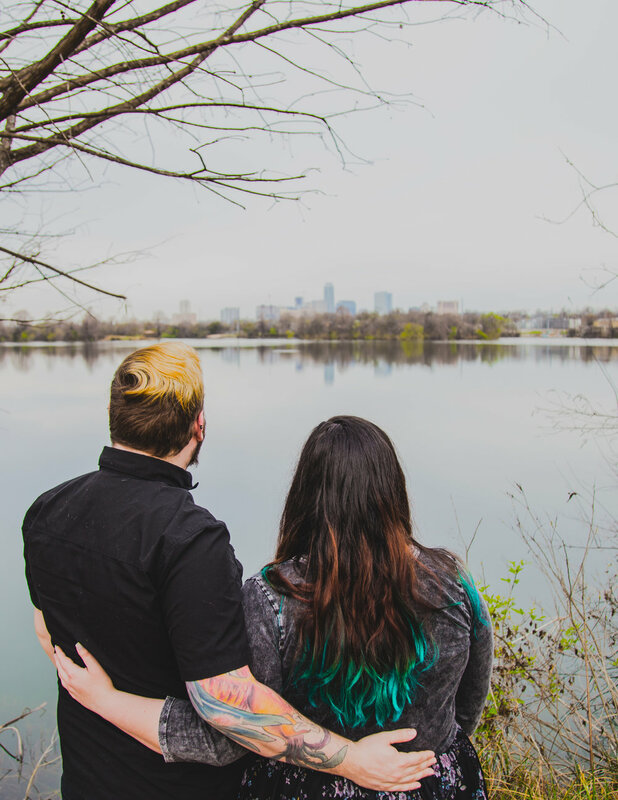 But there are a few spots spread around Austin where you can (mostly) avoid the crowds, drink in some seriously scenic views, and incapsulate the love you have for one another in a super authentic way. I am a personal fan of incorporating as much nature as possible during couple sessions. There's something about including the crazy cool symbolism of growth when you document love and it's just an added bonus that natural greenery compliments humans in a really beautiful way. A perfect waterfront view filled with gorgeous trees whose trunks branch out along the floor... and did I mention it's a dog park? As someone with major puppy fever, this is one of my favorite places to bring couples. (If not for the very selfish hope to pet some doggos.) While not so unknown—the parking lot can fill up pretty quickly—this location is filled with hidden spots along its trail for some seriously intimate and beautiful portraits. When I was in college, I lived in the Riverside community and stumbled upon this beautiful waterfront park one evening. Since then, I've always considered this park my happy place and I love to bring couples here to show them this little slice of heaven just a few minutes away from Riverside Drive. Unfortunately, Riverside is in the process of some massive gentrification—and I fear this wonderful spot may not be here in just a few years. Let's enjoy it while we can! OK, so Brushy Creek is actually HUGE. But my favorite spot to get some exercise—and take a million pictures—is the part connected to the Twin Lakes YMCA. It's such a vastly huge and nature-filled area, I find new ways to photograph it every time I visit. (Which is like once a week.) At this spot you get it all; a beautiful bridge, fields for days, waterfront views, and did I mention there's a waterfall? It's a magical area and also home to a massive amount of bluebonnets in the spring. It's heaven in North Austin and Cedar Park. Feeling inspired to hop in front of a camera now? 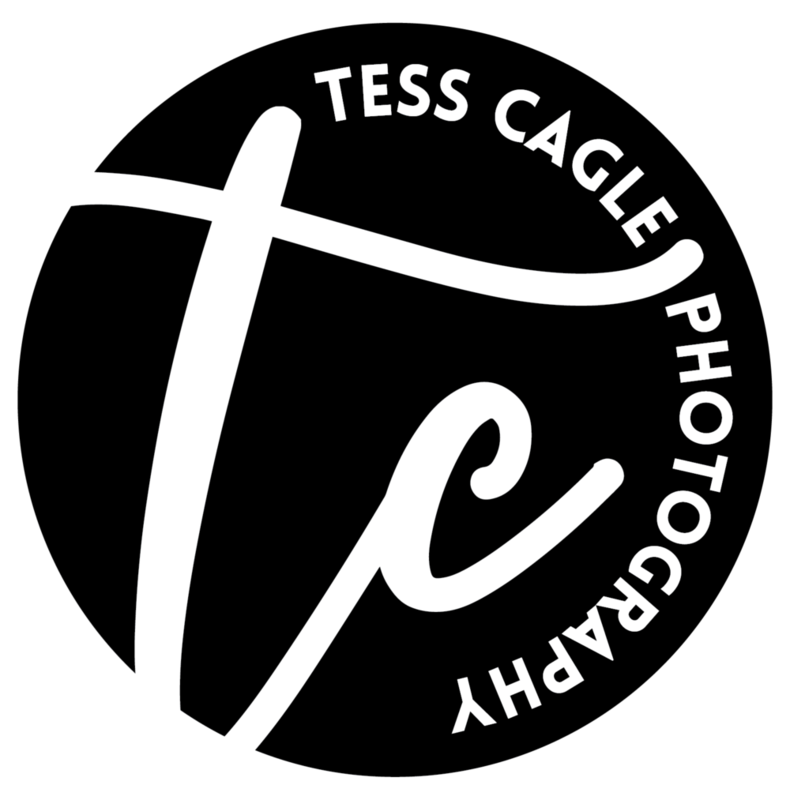 Or are you a recently engaged couple looking for your wedding photographer and like what you see? Inquire now about my session rates + packages.